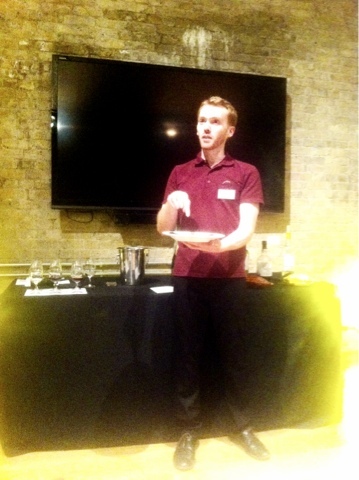 Recently I had the chance to join the chocolate & wine pairing masterclass organised by Vinopolis. If you haven't heard of Vinopolis ask any person in London who appreciate wine as they specialised in wine tasting and are based in Borough market. We had a young French man who is expertise is in wine, but has also a broad knowledge of chocolate even if you are a chocolate fond. 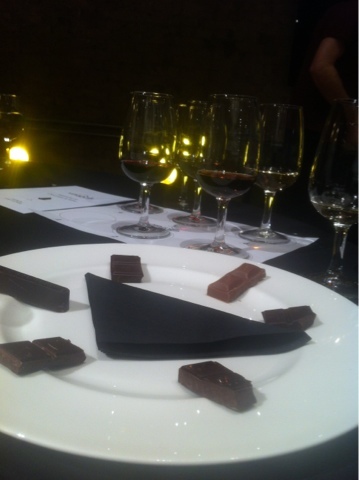 We had 6 variety of wine and 6 different chocolate from dairy milk of Cadbury up to dark chocolate by Valrhona. I'm definitely not an expert when it comes to wine though I enjoyed to find how different wine are matched better to different variety of chocolate. In general the rule if thumb is that wine goes better with dark chocolate, but as we all have different taste buds we found out that different people had different favourite combination of chocolate and wine. Vinopolis doesn't run this workshop very often, but they do have one in September. Check http://c.hocol.at/pairWine for full details.